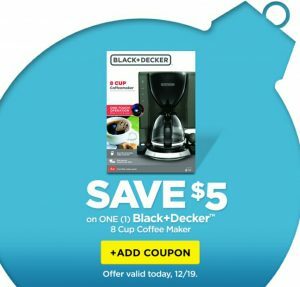 one Black + Decker 8 cup coffee maker. This coupon is redeemable today only. Click here to load to your DG digital account.